January 1st, 1917.-At Fontaine-sur-Maye. The Regiment went for a route march. 9104 Sergeant (now C.S.M.) E. J. Smith. 10073 Sergeant J. W. Wright. January 3rd.-Notification received of the award of the military Cross to Lieut. Thomas Tyrwhitt-Drake. 2nd Lieut, (temp. Captain) N. W. Hill. 2nd Lieut. M. G. Fielding. January 8th.-The Regiment marched at 9.30 a.m. from Fontaine-sur-Maye to billets in Prouville. January 10th.-Remained in billets at Gezaincourt. January 11th.-Marched via Beauval to Talmas. January 12th.-At 1 p.m. marched to billets at Rubempre. January 13th.-At 9 a.m. the Regiment was moved in 41 motor-busses via Albert to Wolf Huts, west of Pozieres, on the Albert-Bapaume Road, being then in the position of the support battalion of the 5th Infantry Brigade, which had begun to relieve the 154th Infantry Brigade (51st Division) on the previous day. January 15th.-The 73rd reinforcement (26 men) arrived. January 16th.-At 5 p.m. the Regiment began to relieve the 24th R.F. in the position of the right battalion of the 5th Infantry Brigade in the 2nd Divisional Front. January 18th.-C Company relieved A, and D relieved B.
January 20th.-The Regiment was relieved by the 1st King's (Liverpool) Regiment (6th Infantry Brigade), and moved back to Bouzincourt on completion of the relief. During this tour of the trenches 7 men were wounded. January 28th.-Relieved the 1st R. Berks in Ovillers and Wolseley Huts, on the 5th Infantry Brigade moving into support, and became "Work Battalion" of the Brigade, finding large working parties daily for the next few days. February 2nd.-The Regiment still at Ovillers and Wolseley Huts, furnishing working parties. February 5th.-From 5 p.m. the new Reserve Brigade (99th) took the working parties. 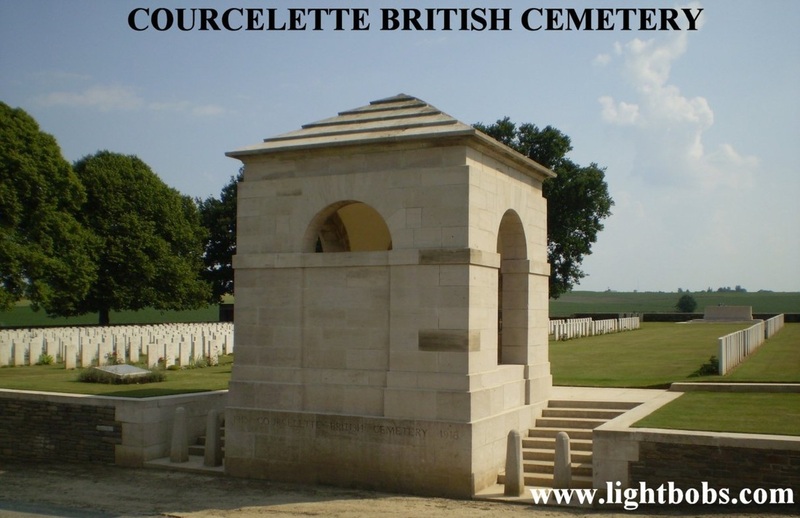 The 5th Infantry Brigade took over the front line of the 2nd Division, and the Regiment moved into the forward lines of Ovillers Huts, becoming Reserve Battalion of the Brigade in the Line. Weather very cold, with frost; ground very hard. February 7th.-The 74th reinforcement (17 N.C.O. 's and men) arrived. February 9th.- The Regiment relieved the 24th R.F. in the Right Sub-section, held (with very slight alteration) as before. Relief completed at 11 p.m.
February 13th.-The 4-days' tour of duty was very free from trouble of any description, except that a Heavy Battery, which up to the time of handing over had not been located, insisted on shelling the ground all around four of our posts. Repeated attempts to get this stopped failed. The nights were very bright moonlight, which enabled movement and visiting of posts to be done very easily. On the whole, the attitude of the enemy was quiet. There was some sniping and firing at enemy's wire by our Lewis-gunners. The Regiment was relieved by the 24th R.F. and, on relief, moved to Ovillers Huts. February 14th.-"W Day." The Regiment exchanged areas with the 99th Infantry Brigade (Regimental H.Q. moving to Aveluy), and took over the duties of Work Battalion of the Reserve Brigade. H.Q. and B Company (less 2nd Lieut. Neville and 50 men, employed as permanent working party near Meaulte) at Aveluy. C Company and 50 men of D Company permanent light railway working party at Donnets Post. D Company (less the above 50 men) permanent working party for unloading ammunition. February 16th.-" Y Day." As yesterday. Regimental H.Q. moved at 10.30 p.m. to Bruce Huts, Aveluy having been shelled at 10 p.m.
"At 5.45a.m., under cover of a heavy barrage, we attacked on both sides of the Ancre. "North of the river the attack was entirely successful; 2 officers and 142 men are reported to have been captured, and consolidation was easily effected. "South of the river little opposition was encountered on the left, but on the. right the enemy was found to be on the alert. The final objectives were not gained, and the position is still obscure. "The opposition met with on the right must be attributed to a great extent to the fact that at about 2 a.m. a deserter crossed over in the vicinity of the East Miraumont Road, and, according to the statements of prisoners since captured, informed the enemy that a large attack was taking place between 4 and 6 a.m.
All the enemy troops in this sector had apparently received instructions regarding our attack at 5.15 a.m. In addition the enemy artillery heavily barraged our front areas from 5 to 5.30 a.m. Rockets were con­tinually put up along the line, and our assembly for attack was much impeded. In spite of this the first objective appears to have been gained with little difficulty. In the second phase, however, machine-gun fire from the north and north-east was much in evi­dence, and shortly afterwards a strong counter-attack developed. "Up to 7 p.m. 7 officers and 300 other ranks have passed through the Corps Cages. However, it would appear that between 550 and 600 prisoners have been captured." February 18th.-Regimental H.Q., with the portion of B Company still in hand, moved to Aveluy. "South of the Ancre our troops were engaged in consolidating and improving their position. "North of the Ancre at 11.25a.m. today a hostile force, esti­mated at two battalions, in three waves, with supports in artillery formation, were seen advancing in a south-west direction from the Wonder-Work (L.32.b). Our barrage effectively dealt with this attack, and the enemy retired in disorder, suffering heavy losses. The attack was supported by a light barrage, but we had no casual­ties. "Owing to the persistent fog, shooting with aeroplane observation has again been impossible. "Heavy neutralizing fire was directed on to enemy batteries on several occasions, to stop reported shelling of our trenches, and on each occasion the hostile shelling immediately slackened. "At 6.45 this morning our artillery opened fire on barrage lines, in response to an S.O.S. from the Left Division, and again at 11.20 a.m., to repel a strong counter-attack from the north-east; at 12 noon the latter was reported to have collapsed under our barrage fire, and the enemy appear to have suffered considerable losses. "Hostile artillery showed considerable activity yesterday after­noon and evening, but little shelling has been reported since day­light this morning. "Our front-line system north of the Ancre was bombarded intermittently from 1 p.m. (yesterday) onwards, the shelling being heaviest about 4 p.m. During the evening our line east of Grandcourt received considerable attention, and from 4 to 5 a.m. this morning a bombardment of moderate intensity was distributed along the fronts of our Centre and Right Divisions. "One officer and 160 other ranks passed through the Corps Cages in the past 24 hours. "The total number of prisoners taken during the recent opera­tions amounts to 10 officers and 609 other ranks. "The total number taken by the IInd Corps during 1917 amounted to 16 officers, 934 other ranks." February 19th.- The 75th reinforcement (45 N.C.O. 's and men) arrived. February 21st.-The Regiment finally relieved of working parties, and closed to billets in Albert. February 22nd.-Reconnaissance of the Line to be taken over, the Right Front Sub-section being now Nos. 1 to 11 posts inclusive. February 23rd.-The Regiment relieved the 1st King's (Liverpool) Regiment (6th Infantry Brigade) in the Right Front Sub-section. A troublesome relief, completed at 2 a.m. (24th). H.Q. in original position in the Dyke Valley. February 24th.-Quiet day. After dark, information was received that a patrol of the 18th Division (on our left, i.e., on the left of 17th R.F., who were on our left) had penetrated to a point well within the German lines on our front, and had found no enemy. Orders received to send out patrols at once, and find out whether Guard Trench and Desire Support Trench were held. Patrol going out at 9 p.m. from A Company (on right) reported Guard Trench and that part of Desire Support Trench to its front believed to be held, although posts could not be located. At 10.30 p.m. a patrol going out from B Company (on left) reported that part of Desire Support Trench to its front held by at least one post. This was duly reported. Further information, not then available, disclosed that the Germans were definitely not holding their front system except by one or more rearguard posts or "pockets," and the Support Battalion (2nd H.L.I.) was passed through the front line in the dark, and at dawn (25th), under cover of a mist, established a line of outposts beyond and to the south of Pys. February 25th.-The Regiment continued to occupy the original British Line, except that there were posts forward on the flanks, in order to be in touch with the Australians on the right, and the 17th R.F. on the left. February 27th.-The Regiment relieved the 2nd H.L.I. in the forward position. A and B Companies were established in the new front line, consisting of Gallwitz Switch Trench on our right, and a line of posts on the left extending to the outskirts of Pys, including the cemetery. D Company (Support) in Grundy Trench. C Company (Reserve) in shelters about Regimental H.Q. in Aqueduct Road. The relief was effected with difficulty, owing to darkness, and completed by 3.20 a.m. (28th). February 28th.-A quiet and misty day. The front line was for a time shelled by the enemy's artillery as well as by our own (in their attempt to cut the wire in front of Grevillers Trench). Policy of very active patrolling maintained. Casualties during February=7 killed and 14 wounded. H.Q., posts in Old British Line Nos. 8 and 19. C and D in Below Trench. The next 48 hours were devoted to salvage, burial of corpses, etc. March 3rd.-The Regiment was relieved by the 1st K.R.R.C. (99th Infantry Brigade), and, on relief, marched to billets in and about the Rue Carnot, Albert. March 4th.-At Albert. The whole Regiment bathed during the morning at the baths in the Rue Corbie. March 5th.- The 76th reinforcement (18 N.C.O. 's and men) arrived. March 5th-l0th.-Such training and drill as the weather and ground permitted was carried out. March 11th.-The Brigade moved into the Support Area, and the Regiment relieved a battalion of the 6th Brigade in Ovillers Huts. March 12th.-Bathing, drill, etc. Reconnaissance of the Forward Area by about 10 officers. The 77th Reinforcement (10 other ranks) joined from the base. D old Brigade H.Q. (R.29 Central). March 13th-18th.—Employed on road-making (Pys to Le Sars, and Warlencourt to Le Sars). March 18th.-During the afternoon the Regiment moved to a leg-shaped ravine in G.33 Central, bivouacking, and being placed under the orders of the 6th Brigade (Forward Area). March 19th.-The Regiment marched at 8 a.m. to the Bidacourt Line, and there dug a defensive line, 650 yards in length, using the German wire as obstacle in front. At 4p.m. orders were received to withdraw to Wolf Huts at once. March 2lst.-To Bruce Huts, on the Aveluy-Bouzincourt Road. March 24th.-To Herissart. At 11 p.m. time was advanced 1 hour. March 28th.-To Hericourt; less C and D Companies, at Guinecourt, 1 1/2 mile away. March 30th.-The Regiment marched to Floringhem, just north of Pernes, and took over very good billets. The march was 15 miles, and was very well done; march discipline very good; nobody fell out. March 31st.-The day was spent in clearing up and resting. April 2nd.-"Summer Hours" began at Rouse. There was a heavy and unexpected fall of snow during the night and throughout the day, which resulted in some of the billets having to be evacuated by reason of their non-weatherproof roofs. Training was aban­doned in favour of making the roads through the area and to the Refilling Points passable. April 4th-7th.-The weather improved considerably, and made a great amount of training possible. Particular attention was paid to the old Regimental method of waterproof-sheet bivouacking, and the old equipment, i.e., string, pegs, and sticks (carried on the cookers), was completed, 2 pegs per man carried in the haversack, as before. This method was approved by the Major-General, and was adopted for the Division. On the 5th the 78th reinforcement (13 men) joined. The Regiment marched, as part of the 5th Brigade, to the area Hermin-Frevillers via Dieval and Bajus. One hour halt for tea east of Dieval. 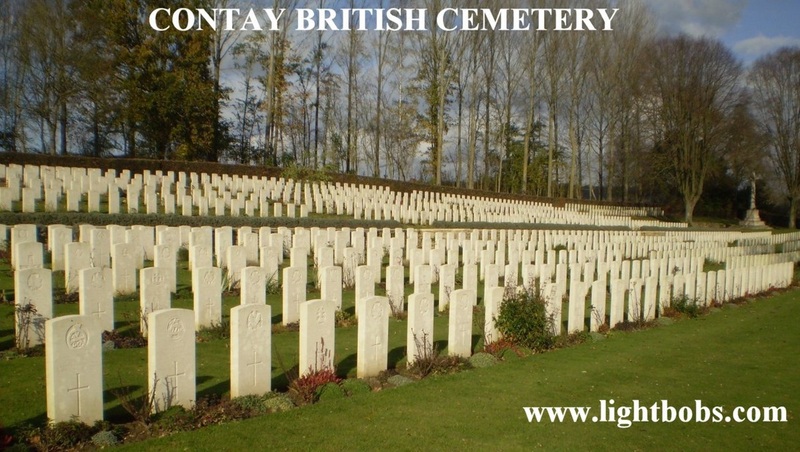 3 men of the 52nd lie in this cemetery from the 16th January and 12th February 1917. 1 man of the 52nd lies in this cemetery from 26th January 1917. 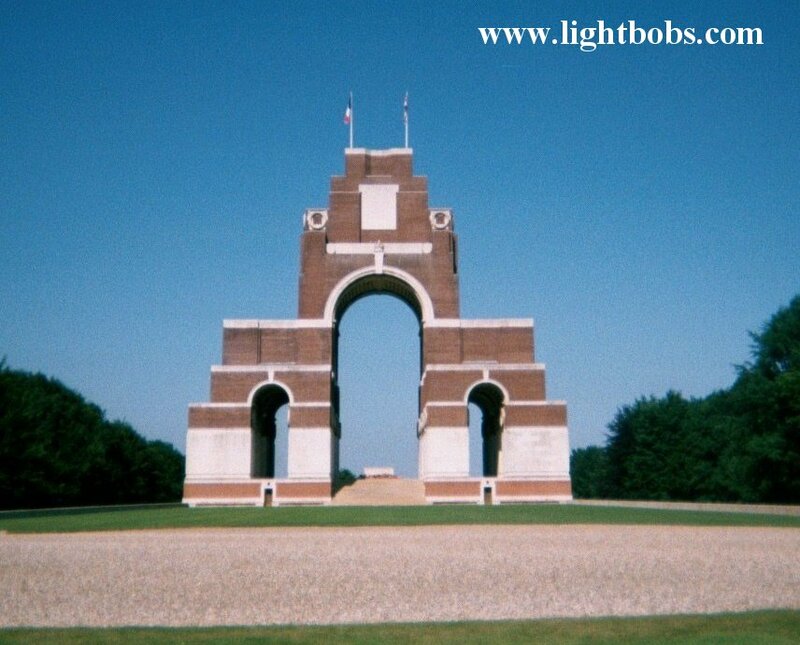 The Thiepval Memorial, 6 men of the 52nd are commemorated here from the period 24th February - 1st March 1917.